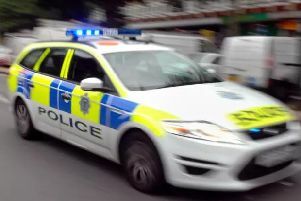 A motorcyclist died in hospital after a crash near Southam yesterday (Sunday, May 7), with police appealing for witnesses. A black Suzuki motorbike was being ridden along Welsh Road West, near Bascote, at around 1.10pm when the it is believed to have left the road, collided with a road sign and come to rest in a ditch. Two air ambulances, as well as several paramedics and police, were sent to the incident. A person with links to Red Cross was at the scene helping the biker when West Midlands Ambulance Service crews arrived. The motorcyclist – a man in his 30s – suffered head injuries and was airlifted to University Hospital in Coventry where he later died. Officers are keen to speak with anyone who saw the incident, who saw the vehicle and the manner in which it was being driven prior to the collision or who can help with the investigation.